I had porcelain veneers placed on my top teeth and a dental implant and crown on my bottom arch. In the U.S. it would have cost me over $60,0000 but I was able to get it done overseas for around $11,000. At first, I was pleased as punch, but now I’m four months out and the veneers are falling off. I’ve been cutting up the food the way he showed me and not eating with my front teeth at all. In fact, the last one fell off while eating spaghetti. That’s hardly anything to stress about. Three of the veneers have fallen off. They’re all intact. Do I need to have these re-done or can another dentist put them back on? So, here’s the thing. Those instructions your dentist gave you about eating are a huge red flag to me. There is absolutely no reason why you should have any restrictions at all on what or how you eat. When properly bonded on, porcelain veneers will allow you to eat anything. This dentist doesn’t know proper bonding technique. That alone, makes me question the skill of the rest of his work. For health and safety reasons, I’d like you to get a second opinion on the dental implant and crown you had done. This is especially important about the implant. If an infection develops it can lead to serious consequences. Regarding your fallen porcelain veneers. You mentioned they’re still intact. In that case, it is possible an expert cosmetic dentist could clean them up and get them bonded back on properly. However, this is beyond the skill of almost all cosmetic dentists. You will need someone in the top 2%. Cosmetic dentistry isn’t really taught in dental school so you’ll need to look for someone who invested the time and training into doing it well. In your place, I’d look for a dentist who has reached accreditation with the American Academy of Cosmetic Dentistry. AACD accredited dentists are in the top 1% of dentists. You can find them listed on aacd.com. Just make sure they’re accredited. They will know the right procedure to help you with your porcelain veneers. The cost to get them bonded back on properly shouldn’t be too bad, if they can be saved. If they can’t be, these dentists will give you a list of options and let you determine which way you want to go. This blog is brought to you by Louisiana Cosmetic Dentist Dr. Mike Malone. I had an accident which caused me to need a crown on a front tooth. I was nervous about this because it’s my front tooth. Everyone will see it. I looked up many dentists in my community to see who was highly reputable. I found one which everyone seemed to love. The first crown he did wasn’t even close to matching the other front tooth. Even he said he needed to do it again. The second one was closer, but I wasn’t thrilled with it. He was and was going to place it anyway. Fortunately for me it didn’t fit. He went back for a third run and when that one didn’t fit he told me I’d need orthodontics. I gave up at this point even though I have a horrible temporary crown which doesn’t fit right. I need help but I don’t know what to do. Help me please. These stories make me both sad and frustrated with the dental industry sometimes. First, you should know that a reputable dentist and an excellent cosmetic dentist can be two very different things. There are two different mindsets at play here. In dental school, we’re taught that the dentist knows best. Cosmetic dentists have a different mindset. They feel unless the patient is satisfied (in fact, more than satisfied), they haven’t properly done their job. Dentists who haven’t done extensive training in cosmetic work see this as pandering to the patient. All that being said, matching a dental crown to a single front tooth is a very challenging thing even for the best cosmetic dentists. In fact, if your smile is important to you (and it sounds like it is) you will want a dentist with both technical expertise and artistry. Believe it or not, one of the teeth in the picture above is a dental crown. I bet you can’t tell which one. That’s the type of results a true cosmetic dentist gets. The easiest way to find a top of the line cosmetic dentist is to go to aacd.com. This is the website for the American Academy of Cosmetic Dentistry. They have a find a dentist link. However, you don’t just want someone who is a member. Any dentist can become a member. You want to find a dentist who is accredited. In their search options, there is a box to check that you’re looking for an accredited dentist. These dentists have passed stringent oral and written exams as well as demonstrated their artistry in a large number of cases they’ve done. Anyone of them are more than capable of matching your front tooth with a perfect physical and aesthetic fit. This blog is brought to you by Lafayette, LA Dentist Dr. Mike Malone. My dentist has a CEREC machine. We’ve used it for a crown before, but on a tooth on my bottom arch. Now I need one on my top front tooth and he’s saying “No”. He said they don’t look good on front teeth. I truly liked the convenience. Plus, he wants to crown both front teeth to make them match. Is this legitimate? 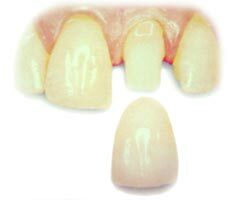 You should be aware that only the top cosmetic dentists in the world can match a single crown to a front tooth. That is even more challenging when it comes to using CEREC. If convenience is what you’re after, go with the two crowns and traditional crowns. I’ll explain why in a moment. If you want gorgeous front teeth with just one crown, you’ll need to find an expert cosmetic dentist. Your front teeth are right next to each other and much more exposed to the light. Even the slightest deviations will be very noticeable. It will be quite obvious your teeth won’t match. With even the best dentists, it will take a few try-ins before it matches perfectly. That could go faster with CEREC crowns because it’s milled right there and not sent to a lab. It will still likely take more than one try. This method will take even more skill. 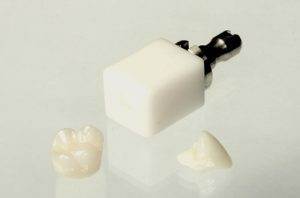 With a CEREC crown, that’s even harder because they are milled from a single block of porcelain. 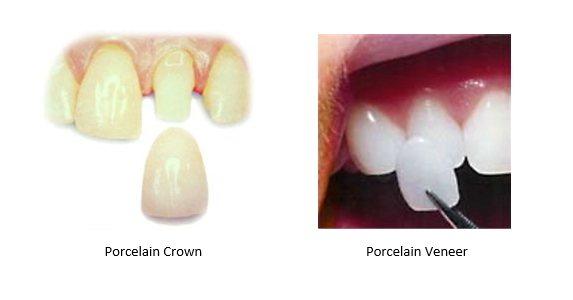 Traditional porcelain crowns use several blocks with variations in opacity. Your dentist would have to be very versed in color theory skills which are not taught in dental school. It’s obvious your dentist doesn’t have that training. It’s actually showing his integrity that he’s being honest with you. He could have bluffed his way through and given sad looking results. Truthfully, because of the difficulty of this type of case, to get a beautiful, natural looking result which will match your other front tooth, you’ll need to go to a dentist accredited with the American Academy of Cosmetic Dentistry. AACD accredited dentists have gone through stringent oral and written exams as well as proven their artistry with a large number of cases they’ve done and provided evidence for. All of them have gone through extensive training in advanced cosmetic procedures after graduating dental school. What it boils down to in this particular case is what’s more important to you— a convenient, fast result, or a natural looking attractive result. It is definitely your smile and your choice. Don’t feel pressured to go a way you don’t want. This blog is brought to you by Lafayette Dentist Dr. Mike Malone. I needed to get a crown on a front tooth. The first one came back way too white. He sent it back and tried again, but the second one he looked at it and said, “That’s better.” then proceeded to bond it one without me seeing it. When I got home, I realized it didn’t match the other tooth. What do I do? 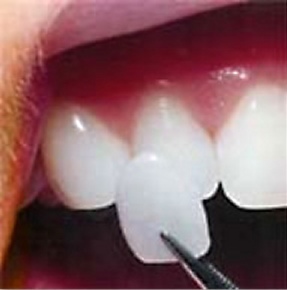 To match a crown to a single front tooth takes an expert cosmetic dentist. 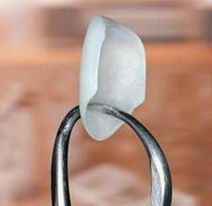 The procedure you need, matching a single crown to your other front tooth, is an extremely advanced procedure. Only the top cosmetic dentists can do it. Even the best will usually charge up to 40% more for a crown on a front tooth. That’s because it regularly takes four or sometimes more try-ins before it is matched completely to the adjacent front tooth. There are two things your dentist did which make me think he’s not a skilled cosmetic dentist. First, he thought two tries was enough. A truly skilled cosmetic dentist will not be satisfied with anything less than perfection. He would do it over and over again until they matched. Second, he permanently bonded on your dental crown before letting you get a look at it. He didn’t want to risk you saying it didn’t look right so he tried to take away your ability to say so. You have two choices in getting this fixed. You really do need an expert cosmetic dentist if your dentist isn’t willing to put forth the effort for excellence. I’d look at the American Academy for Cosmetic Dentistry’s website (aacd.com). They have a section which allows you to look for a cosmetic dentist. You need an accredited cosmetic dentist. These are the cream of the crop. Not only are they capable of matching a single crown, but they won’t be satisfied until you are. If money is a factor, you may want to see if your dentist is willing to get it right at no additional cost. But, if it’s not a huge factor, you’re better served to find a better cosmetic dentist. Should I Have Gone to a Cosmetic Dentist for a Root Canal? Both my sister and I received root canals within the last year. My dentist put a crown on mine, which meant filing down the tooth to a nub. It’s not that attractive either. It’s toward the back so isn’t completely visible but it still bothers me. My sister sees a cosmetic dentist. When he did her root canal, he put a porcelain veneer on hers. It looks so much nicer than mine and she hardly had any of her tooth structure removed. Did I make a mistake not going to a cosmetic dentist? You should know there isn’t a recognized specialty in cosmetic dentistry, which means every cosmetic dentist is just a general dentist who prefers to also do cosmetic work. However, before we get into choosing a dentist to do cosmetic work, let’s talk about a root canal restoration. Whether or not you get a dental crown or a porcelain veneer restoration depends on a few things. First, the location. If it’s a back tooth, a crown is more important. After a root canal, a tooth becomes more brittle. The crown will protect it from the biting forces which affect your back teeth. If it’s on the front teeth, you may have a choice. Most of the time crowns are done because there was so much decay on the tooth there is not enough structure left for anything but a crown. However, if the tooth needed treatment because of trauma and is still fully intact, then you could get a porcelain veneer. This is more effective because of the type of forces your front teeth undergo. However, you’re talking about getting a porcelain veneer on a single front tooth. This requires a cosmetic dentist with superior aesthetic skills. Most of the skills required to do a beautiful smile makeover are not taught in dental school. The dentist has to invest post-doctoral time in learning the skills required. However, there is an aspect that can’t be taught— an artistic eye. Like any art form, there are different skill levels. So, how do you find the right dentist? The American Academy of Cosmetic Dentistry realized the quandary patients found themselves in. To remedy that, they began an accreditation program. To become accredited, dentists have to pass stringent oral and written exams. Additionally, they have to provide evidence of a list of cases they’ve done showing they can give beautiful results. Any AACD accredited dentist can give you a gorgeous smile makeover. They can also match a single porcelain veneer to the rest of your teeth. If you’re ever in the need or porcelain veneers, make sure you go to aacd.com and find an accredited dentist in your area. What If I Can’t Get Porcelain Veneers? I’m disappointed with my smile, but my dentist said I can’t get porcelain veneers because I grind my teeth. Is there anything else I can do to improve my smile? I have a gap between my teeth and they are quite discolored. I think your dentist may be a little confused. If the only issue is that you grind your teeth, there is a way for you to get porcelain veneers. It’s possible that he’s not comfortable doing smile makeovers and rather than admit that he’s trying to discourage you from moving forward with that. Don’t pressure him. You will not be happy with the results. Here’s what I’d recommend. The first thing I want you to do is to get a second opinion. But, make sure you do it with a dentist who’s accredited with the American Academy of Cosmetic Dentistry (AACD). These are the top cosmetic dentists in the country. In all honesty, in order to get the gorgeous smile you’re hoping for that’s the type of dentist you’d want to do your veneers anyway. Teeth Whitening: This is the most affordable way to brighten your smile dramatically. It will make you look years younger. 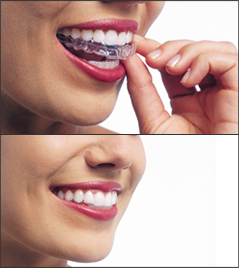 Invisalign: This is a great option to straighten your teeth without anyone knowing your wearing orthodontics. Plus, it works in half the time of traditional orthodontics. Dental Bonding: This can repair chips and gaps on teeth. As you can see there are many ways to upgrade a smile. However, no matter what you do, you’ll want to protect your teeth, especially after investing money in improving it. If your dentist hasn’t suggested a night guard to you, knowing that you’re grinding your teeth, then it may be time to get another dentist. This is a simple orthotic device you’d wear over your teeth and it will take the pressure off of your teeth when you grind them. Without this, your natural teeth will eventually be worn down to nubs, requiring you to get each tooth crowned. My sister and I are in constant competition with one another, even when I don’t want to be. I told her I was planning on getting a smile makeover next year. I’m guessing she felt she needed to beat me to it because three months later she called to tell me she just had Lumineers done and has a gorgeous new smile. At first, I was mad. She’s always “one-upping” me. However, after I saw her new smile, I was relieved. She likes it (or at least says she does). But, I think it looks awful. Her teeth are bulky. To me, they look like horse teeth. They’re also chalky looking. I was hoping for something more natural looking, though I do want them to be very white. How can I avoid a fake looking smile? I’ve seen the pictures of smile makeovers and, in photos, they look gorgeous. What went wrong with my sisters? Having a copy-cat sister is going to turn out to be a true blessing for you. The most important decision to make when it comes to getting a total smile makeover is the dentist you choose to create your new smile. Cosmetic dentistry is an art. Just like two different sculptors have different levels of artistry and skill, the same is true for dentists. Choosing the wrong dentist is what went wrong with your sister’s porcelain veneers. My first clue to that is you said he gave her Lumineers. Those are a particular brand of porcelain veneers that are highly marketed to inexperienced cosmetic dentists as being easy to place. Many expert cosmetic dentists feel the brand is sub-par. The reason for that has more to do with the fact that the DenMat Company, who owns Lumineers, insists dentists use the company’s lab. They’re not known for following the dentist’s directions in a way which creates beautiful results. That’s likely where the chalky look came from. As for the bulkiness, that’s also a common complaint with that particular brand. They’re advertised as being easy to place because they’re ultra-thin and the teeth don’t have to be prepped as a result. That’s why they’re considered “easy” to place. The problem with that is with some smiles, regardless of how thin the veneers are, without the teeth being prepped you end up with bulky looking teeth. If you can’t find an AACD accredited dentist in a near enough distance for you to reasonably travel, don’t panic. There are many other skilled cosmetic dentists, many of whom are on their way to accreditation which takes many years. You can look at the mynewsmile.com website to find these dentists. They don’t recommend anyone who cannot create a stunning smile. You’ll be safe with anyone on their list. All you have to do is input your zip code and how far you’re willing to travel for your smile makeover. This blog is brought to you by Lafayette, LA Cosmetic Dentist Dr. Mike Malone. Are CEREC Crowns Better for Anxious Patients? I have never been crazy about going to the dentist. I had a toothache and decided to go in because it means something is wrong. It turns out I have a large cavity. Now I have to have a dental crown. I’m really nervous about this. What can I expect? It’s good that you went in. The fact that you did despite your dental anxiety means you are courageous. If you’d allowed your fear to get the better of you, you would have ended up with a dental infection. That would have meant an additional procedure of a root canal treatment. Or, possibly your tooth would not be able to be saved and you’d need to have it extracted and replaced. To get a great replacement, like a dental implant, requires surgery. Obviously, you made the right decision. What to expect depends on the type of dental crown you’re getting. Did your dentist mention whether you’re getting a traditional crown or a CEREC crown? If you’re getting a traditional crown, it takes two visits. First, your dentist will have to remove any decay as well as grind down enough tooth structure to make room for the dental crown. You can see how small your natural tooth has to be in the image above. After that, your dentist will make an impression of your teeth and fit you with a temporary crown. The impression will be sent to the lab to make your permanent crown. It takes a couple of weeks for the permanent crown to be made and sent to your dental office. Then your dentist will call you, fit you with the permanent crown and bond it on. Given your anxiety, this will be a better option for you. First, they can be done in just one appointment. That minimizes how often you have to come in. Second, many patients hate having to do impressions. The goo is messy and bad tasting. With CEREC crowns, you just have a digital image made and a computer designs the crown. Not only is this less nerve-racking, but it’s also faster and more accurate. While you’re at the office, the computer will mill the crown immediately and your dentist can then bond it on before you leave. This is a must simpler procedure. Plus, if you’re still nervous, it’s very compatible with a sedation such as nitrous oxide which can relax you. You didn’t mention which tooth is being crowned. If it’s a front tooth, there’s an additional consideration. 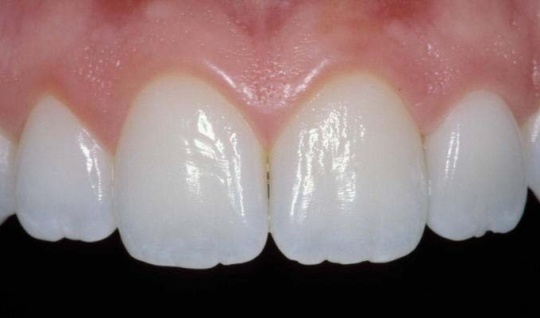 It’s very challenging to match a single crown to a front tooth. You will need to find a dentist with both technical expertise and artistry. In your place, I’d look for a dentist who has reached accreditation with the American Academy of Cosmetic Dentistry. Simply go to aacd.com and look for an AACD accredited dentist in your area. They can give you a beautiful crown that blends in perfectly with your other front tooth. I had asked my dentist for ten Lumineers. I have one crooked tooth but I heard veneers can make that look straight. What I’m really after is a brighter smile, plus masking that one tooth. My dentist said he’d like me to do Invisalign and then porcelain veneers. He also said he didn’t like Lumineers because they’d make my teeth look bulky but would give me a different brand. I’m not crazy about spending money on both treatments. Do you really think this is necessary? I’m a little confused here. On the one hand, what your dentist says about Lumineers is true. They tend to make the teeth look bulky. Plus, their lab is sub-par in following the dentist’s directions properly and rarely give gorgeous results. That tells me he has a decent understanding about at least that brand. However, his other instructions make me think he’s not a skilled cosmetic dentist unless there’s something you’re not telling me about your bite. Generally, a cosmetic dentist would recommend either Invisalign or porcelain veneers. Not both. A skilled cosmetic dentist can make a single crooked tooth look straight. Which procedure you do depends on your needs. It sounds like you’re fairly happy with your smile with the exception of the crooked tooth and the stains. If that’s the case, you’d save a lot of money just getting Invisalign and teeth whitening. Invisalign works faster than traditional braces and has the added benefit of enabling you to do both procedures at once. 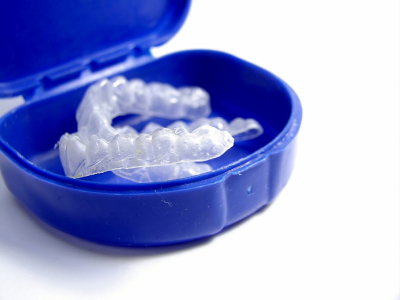 The aligners used to straighten your teeth can double as whitening trays. However, if you feel there are other aspects to your teeth which need changing, such as the size or shape of your teeth, then I’d recommend getting a smile makeover with porcelain veneers. With the Invisalign option, pretty much any dentist will do. But, if you go with the smile makeover, you will need an expert cosmetic dentist to do your porcelain veneers. I’d make sure you get a dentist who’s reached accreditation level with the American Academy of Cosmetic Dentistry. That way you’d be guaranteed to get a sublime smile. Does Teeth Whitening Require a Specialist? I think I’m ready to get my teeth whitened. I keep hearing you have to go to a certain expert dentist for cosmetic work. Is that right? What type of dentist do I need? While it’s true in some cases you have to choose your cosmetic dentist carefully, teeth whitening isn’t one of those procedures. It’s fairly simple. The dentist is their mostly to design custom-fitted trays along with keeping an eye on the health of your teeth and gums throughout the procedure so no complications pop up. As we get older, we accumulate stains. That gives our smile an aged appearance. Teeth whitening is a fantastic way to brighten up your smile and give you a much more youthful appearance. When is an Expert Cosmetic Dentist Necessary? There are procedures which sincerely need to be done by a dentist with significant post-graduate training. But, beyond that, they need to be artistic. The procedure that is the most important is porcelain veneers. These require some significant training both in technique and artistry. It’s hard for patients to know which dentists are artistic and which aren’t. You can have two dentists do the very same smile makeover and achieve vastly different results. There are many horror stories about cosmetic dentists ruining a patient’s smile. How Can a Patient Find an Expert Cosmetic Dentist? The easiest way to find an expert cosmetic dentist is to go to the American Academy of Cosmetic Dentistry (aacd.com) and look for an accredited dentist in your area. Accreditation is completely different from membership. To reach accreditation, dentists have to pass stringent oral and written exams. In addition to that, they have to demonstrate a large number of cases they’ve personally done to demonstrate their artistry. They’re among the best cosmetic dentists in the country. You’d be pretty much guaranteed a gorgeous smile. This blog is brought to you by Dr. Mike Malone.